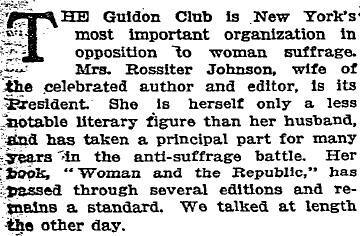 The head of the most prominent and influential group opposed to giving women the right to vote was headed by a female president in New York circa 1913. Her belief was that only lawless and hysterical women wanted the right to vote. Why is this important piece of history never mentioned?